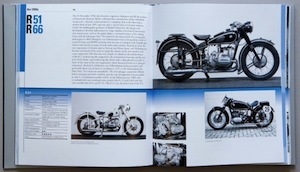 At just about the time the English version of this book came out BMW launched its latest bike, the R NineT which, one the one hand is groundbreaking and on the other, retro in spirit. In fact, even though the NineT came out 90 years after the first BMW bike, the R32 of 1923, the model name is a tribute to the firm’s 90 years in the motorcycle business rather than any one particular model. 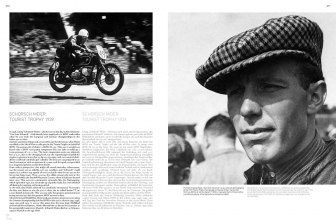 So, whether you’re lusting after the newest of the new bikes and want to find out what that history is all about or looking to buy an older one, this is the book to have. And unless you collect books by the yard, you might as well clear shelf space by tossing many of the others and replacing them with this one instead. But, do note the fine print: the coverage only extends to 2000. It is unusual for a book that is published more than 10 years after that date to have so long a gap. 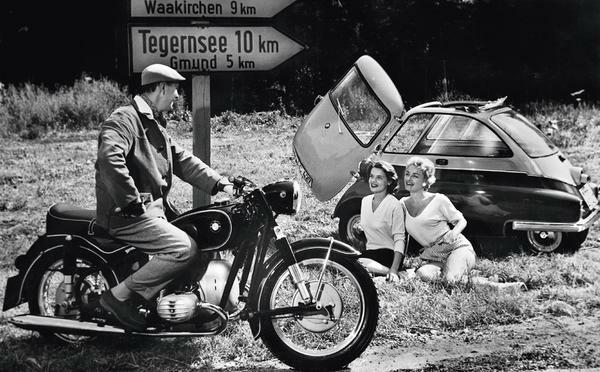 It is also a bit unusual that what may well be the best book about a quintessential German make should have two Italian authors but that’s because this book was published originally (2013) in Italy as BMW Le moto del secolo. 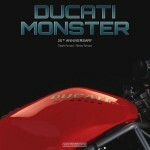 Moreover, it is basically an expanded version of the same authors’ equally impressive 2003 book BMW Passione d’altri tempi: storia, moto e collezionismo BMW, never translated into English and long sold out anyway. Its coverage ended with the 1984 model year, a similarly long gap. 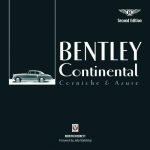 Maybe it just takes that long to write a really good book, or maybe the authors who are both BMW specialists are just too much in demand to find the time. From finding the bikes to restoring and collecting them, Somazzi and Bonsignori have long and personal experience with everything they write about here. 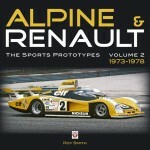 Presented as “a reference book by collectors for collectors” this is not only a model but a buying and valuation guide. Market values, in Euros (ranging from an easily affordable 3K to a stout 105K), are given as a range and even though they won’t have much of a shelf life they are useful reference points as a snapshot of a moment in time and also illustrate the pecking order among BMW models which is not nearly as straightforward as one might think. Not every bike that is rare in terms of production numbers or historical highlights is necessarily “valuable” in monetary terms and the new collector will benefit greatly from the authors’ expertise who even consider spare parts availability in their assessment. 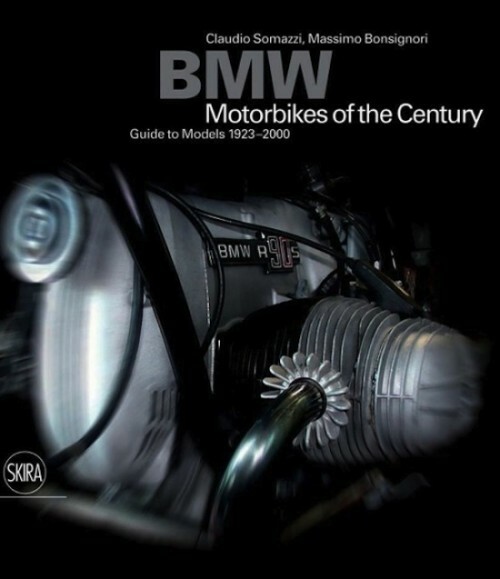 Beginning with a historic overview of BMW origins in aero, car and motorcycle activities, each model is described on 2–4 pages comprising narrative conveying basic historical and technical facts, a data table, a “Collector’s Corner” sidebar discussing (sometimes subjective) merits, and a number of very nice profile and detail photos. Coverage is by decade, wherein lie two complications: 1, long-running models may span more than one decade and 2, unless you already know which model belongs to which decade you’ll have to keep thumbing through the pages (there is no Index). 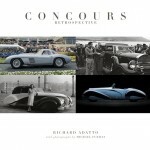 Example: if you don’t know to look for, say, an R69S (“Frankly, it is hard to grasp fully the renown that this model enjoys among the collectors.”) in the 1960s you’ll be spending some time randomly shuffling through the book. Sidecars, very much a BMW forte, get their own short chapter as do racing exploits. 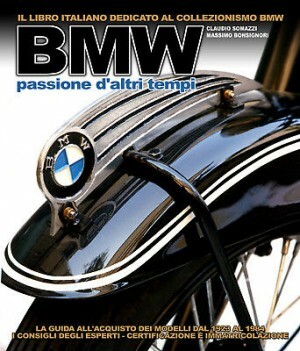 It is interesting to note that the authors favor an explanation of the firm’s iconic roundel logo that is well-established in history (spinning propeller) but not the one BMW itself “spins” (an abstract reinterpretation of the firm’s ancestral company, Rapp Motor Works, in the checkerboard pattern of the national colors of the state of Bavaria). Pretty to look at and full of reliable information, the only “bad” thing one might say is that the English translation, done by two people with properly English-sounding names, is on occasion a bit too Italianate in syntax and style. Novice or seasoned collector, if you’re in the market for a BMW, this book will pay for itself by making you a better-educated shopper.